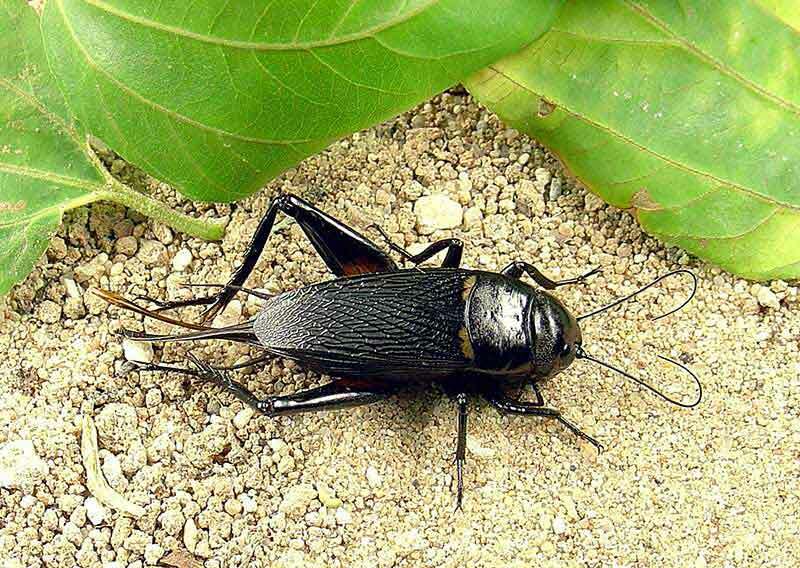 Insect follows Gryllidae family, and Orthoptera order. It is glossy black with two yellow spots. Size is about 30-35 mm. Adults and nymphs feed on herbal plants. Male makes sounds through rubbing outer wings with each other all night to attract female and warn other males.